With charm of the traditional appearance, this teapot is not only suitable for daily usage but also for collection. 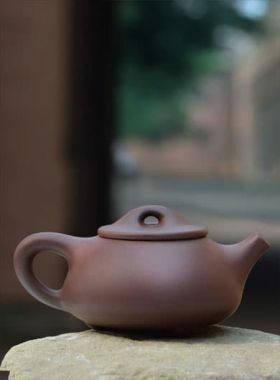 This Ding styled Yixing teapot presents a feeling of solemnity, tradition and mystery. Its feature is that the square shape is hidden in the round shape, so it appears bright and hard. 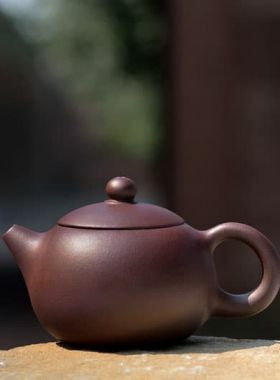 The bronze cultural elements of this teapot are a very important part of Chinese traditional culture. The Bronze Age is the second principal period of the three-age Stone-Bronze-Iron system. Chinese Bronze Age is the "period between about 2000 BC and 771 BC". In this period, People made many bronze artifacts, such as the numerous large sacrificial tripods known as “Ding” (鼎 in chinese). The maker of this teapot is Wu Guoliang who is an excellent potter. He was born in Yi Xing which is famous for pottery. From his childhood he was interested in Yixing purple clay, and after he graduated, he went the first Zi Sha factory to learn how to make teapots. 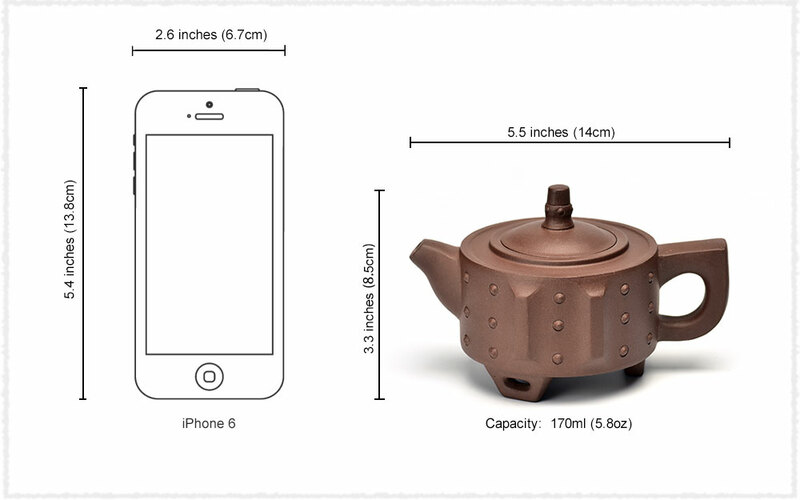 Educated by many famous potters, his teapots have all the advantages of other potters. The style of teapots that he made is unconventional, the lines are very smooth and the verve is very vivid.